COLORBOND® is an iconic brand that has become a household name here in Australia. 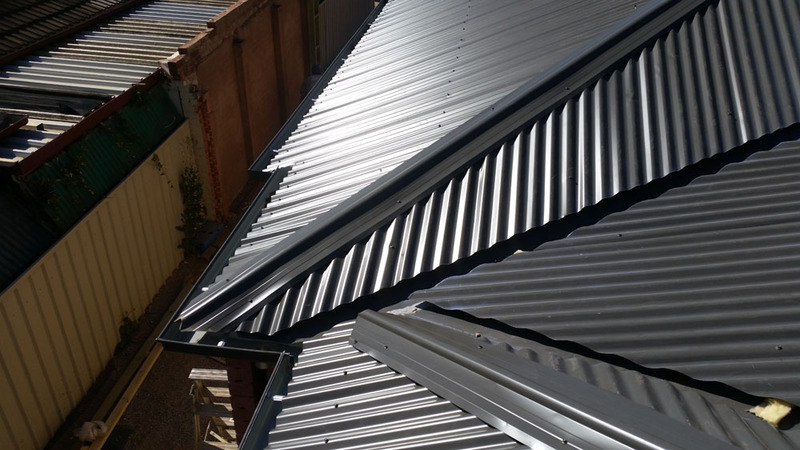 Whilst there are many different kinds of metal roofing options, COLORBOND® Steel is the most widely used in Australia and has evolved to meet our weather conditions over the last 45 years. Research carried out by BlueScope Steel shows nearly half of new homes in Australia have roofs made of COLORBOND® Steel, 90% of new homes feature COLORBOND® Steel products and more than 80 per cent of Australian gutters and fascia’s are also COLORBOND® Steel. Making COLORBOND® Steel, Australia’s most popular roofing material. So why are metal roof structures so popular? ENERGY – Using COLORBOND® Steel as energy efficient roofing materials can assist in reducing your heating and cooling costs and if you are combining COLORBOND® Steel with Thermatech® technology and insulation this will help your building remain climate controlled all year round. Lighter coloured COLORBOND® Steel in particular, radiates less heat during summer and can mean any residual heat is less as well. ENVIROMENTALLY–FRIENDLY – Metal roofing is considered a green material because it can be recycled, reused and is sustainable and almost maintenance free. Steel is one of the world’s most reused materials. Spruiking durability and lightweight designs, it’s efficient to transport and manufacture. Sheets are pre-cut to minimise wastage and reduce the impact on the site and its local environment. LONGEVITY – South Australia has a dry and hot climate and after 45 years of research and development COLORBOND® Steel has proven for many years just how durable metal roofing can be. VERSATILITY – COLORBOND® Steel sheets come in a wide variety of colours, profiles, textures, finishes and styles and can be shaped to your needs, suiting both heritage and modern style homes. You can also co-ordinate the kids cubby house, fences and even the dog house with other COLORBOND® Steel products. SECURITY – Metal roofing is secure; if someone is attempting to enter the home they cannot simply lift a sheet of iron like removing a tile. Since COLORBOND® Steel is generally installed in continuous sheets, which removes possible entry points for water to leak into your home as well. With unpredictable and extreme Australian weather conditions COLORBOND® Steel provides a layer of security against fallen branches and debris from storms. COLORBOND® Steel is some of the toughest, most advanced building materials with a baked on finish, COLORBOND® has over 45 years of trials in Australian conditions across harsh climate and looks stunning as well. GT Roofing Adelaide specialises in roofing restoration, replacements, repairs and extensions and works with COLORBOND® Steel and BlueScope Steel throughout the Adelaide area and across South Australia. For an obligation free chat, please call George on 0434 640 550 or complete our contact form and we will get in touch shortly.